The first thing we need to do before we can launch a campaign is to figure out who to target. There are a ton of ways to gather/generate email addresses for potential targets. You can either harvest email addresses from public information using OSINT if you are aiming to simulate a realistic scenario. Now that we have our list of users, let’s import them into gophish. 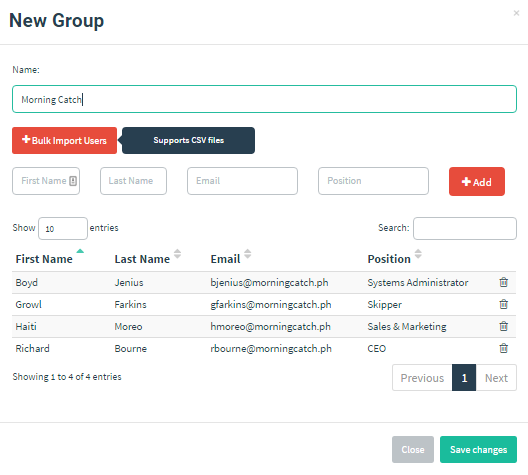 Since we are performing phishing simulation for Morning Catch, we can call our group “Morning Catch Employees”. To save time (and typing!) let’s go with the CSV option. After clicking “Save changes”, we see a confirmation message that our group was created. 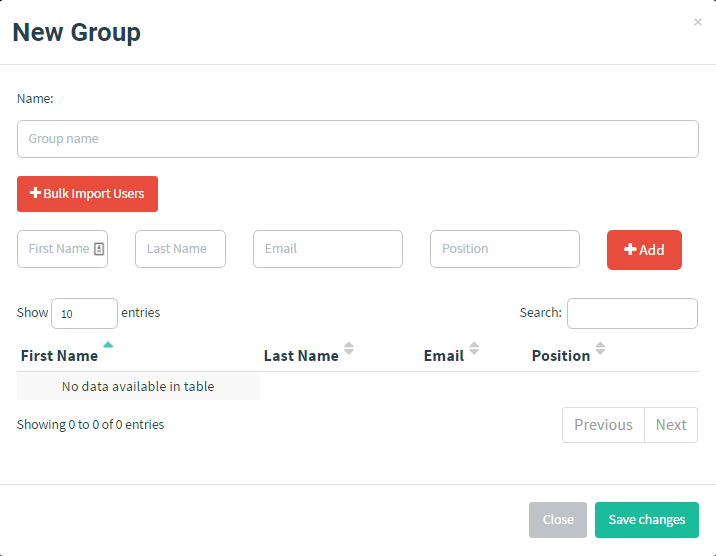 Tip: If you don’t see the group show up right away, refresh the page and it should appear in the table.